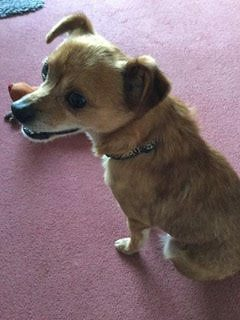 Archie is a small Terrier cross aged approximately five years who came over from Romania before Christmas. 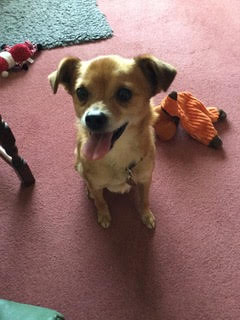 He is in a foster home and has settled so well we now think he is ready for a forever home with his own family. Archie is an energetic boy who loves going out for walks and play, though will sleep quietly in his bed all night. He will be fully vaccinated, castrated and micro chipped. We would like him to be with children over 12 as he can be possessive about his food, in the shelter he came from often food is sparse , this is something that can be worked with. He loves cuddles and is very friendly, he could be with another older dog or as an only pet and would make an ideal companion. A secure garden is paramount. If you would like to visit Archie he is based in Loftus near Redcar.